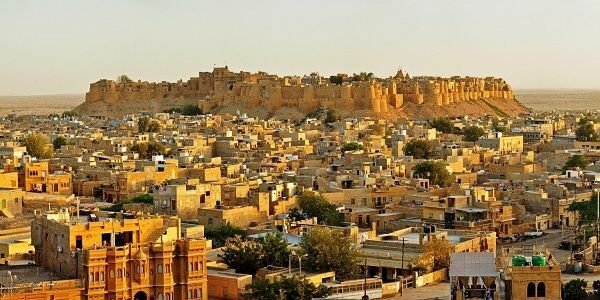 View the details of our 5 days/ 4 night Jaisalmer tour from Delhi below and call us at +91 9782585460 (Mr Rathore) or fill the contact form below, to mail your requirements. You will catch the Delhi-Jaisalmer express train from Old Delhi railway station, which leaves at 5:35 pm. The train will also stop at Delhi S Rohilla, Delhi Cantt & Gurgaon Station. Day 2: Arrive in Jaisalmer. The train will arrive at Jaisalmer Station at 11:15 am, where our driver will be waiting for you. He’ll drop you at the booked hotel & later you will enjoy a half day city tour. (Sites name mentioned below). After breakfast, you will checkout from the hotel and will first enjoy a 4-5 hour Jaisalmer Fort tour (sites names mentioned below). Later we’ll leave for Sam (desert area) & you will 1st check-in at the booked desert camp. At the desert you will enjoy, desert safari tour (camel or Jeep), visit sunset point, musical night program with buffet dinner & night stay at the camp. After breakfast at the camp, you will check-out & will visit the tourist attractions in the desert area (names mentioned below). By 4:30 pm, the driver will drop you at Jaisalmer Railway Station to catch the 5:15 pm train for Delhi (14060/Jaisalmer-Delhi Express). 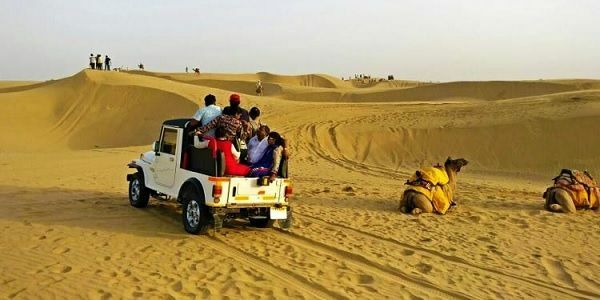 You will start the tour on day 2 by 3 pm & later you can also plan a dinner, anywhere in Jaisalmer. You can plan your lunch anywhere in Jaisalmer & catch the 5:15 pm train for Delhi. We suggest to reach the station before 4:45 pm.